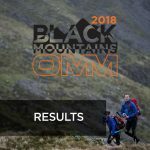 51st OMM in the Black Mountains. 51st Original Mountain Marathon will be held in the Black Mountains of South Wales & England. We look forward to catching up with everyone in October. If you have any questions you can ask them either in the Competitors groups on FaceBook and Strava or through the website. Cilla Black has nothing on us. 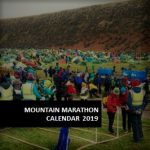 If you’re team mate is injured, still scared from last year or you just don’t like them send a message to the OMM Centre service@theomm.com. The team have a list of people requiring team mates and can find you that special running someone. The northeast part of the Brecon Beacons National Park is dominated by the Black Mountains, a group of old red sandstone hills, cloaked in grass and heather and laced with rivers, is located to the east of the arc described by Hay-on-Wye, Talgarth, Llangorse, Crickhowell and Abergavenny, the Black Mountains form a natural border with Herefordshire, England. The highest mountain in the group is Waun Fach whose heavily eroded peat summit plateau attains a height of 811 metres (2,661 ft). Other significant summits towards the northern edge of the range include the 703 metres (2,306 ft) peak of Black Mountain with its northern outpost of Hay Bluff (Welsh: Penybegwn), 677 metres (2,221 ft), Rhos Dirion, 713 metres (2,339 ft) and Lord Hereford’s Knob or Twmpa, 690 metres (2,264 ft). Towards the south of the range are the more independent summits of Crug Mawr at 550 metres (1,804 ft), Pen Allt-mawr at 719 metres (2,359 ft) and the 701 metres (2,300 ft) peak of Pen Cerrig-calch which rises prominently above the Usk Valley. The Black Mountains are composed almost exclusively of rocks assigned to the Old Red Sandstone and dating from the Devonian period. This thick sedimentary sequence comprises sandstones, mudstones, siltstones and numerous thin limestones. The exception is the summit area of Pen Cerrig-calch where a thin sequence of Carboniferous rocks occur, an outlier of the more extensive outcrop to the south of the Usk valley. The lower slopes of these hills are formed from the mudstone-rich St Maughans beds at the top of which lies a calcrete – a discontinuous limestone band known as the Ffynnon Limestone. Above this are the sandstone-dominated Senni Beds which form the upper reaches of much of the range. Higher again are the Brownstones which form the summit areas of the central and southern parts of the range. A special thanks to the National Parks & Land Owners involved in this years event. The welcoming support of our wild spaces makes 50 years of The OMM possible.